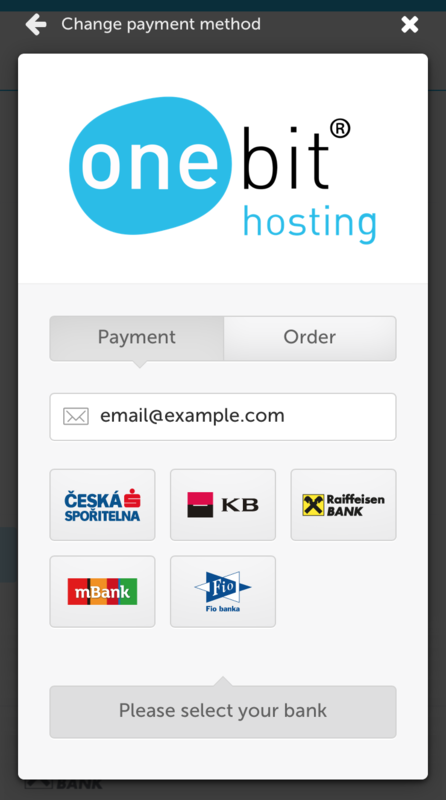 You can easily make your on-line payment through our payment gateway using any of the listed channels. All communication through the payment gateway is secure and encrypted, so there’s no need to worry about the misuse of your payment information. 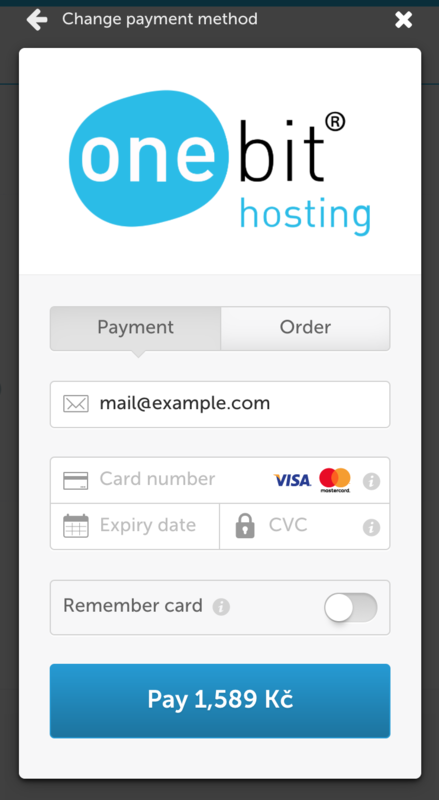 The payment gateway uses a connection to the GoPay payment system. A payment method carried out by signing into your bank's portal and allowing instant payment without having to fill in any details. Instant payment for PayPal users. Fast cash payments are available at Czech Post branches, or anyplace where a Sazka terminal is located. The service provider charges a fee of CZK 10, which is added to the service price. Fast payments for GoPay account holders. 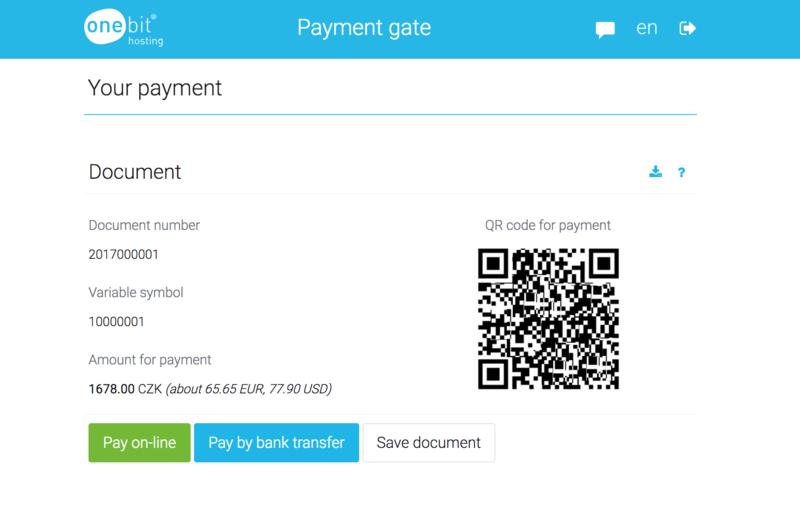 you can sign up below the payment gateway link at any time, indicating the document number and the verification code found on the bottom right corner of the document. The next step is choosing the payment method. In the case of a credit card, enter your card details and click the [ Pay ] button. If you choose on-line bank transfers, the gateway will redirect you to the bank's portal where you sign in and confirm payment after you select the bank and click the [ Internet banking ] button. For superCASH payments, a barcode will be displayed after you confirm this payment method, which you will use for payment at the Sazka terminal. Once the payment is completed, you will be redirected back to our payment gateway. If your payment was successful, an e-mail will arrive informing you about activation of the service. Thank you! This ONEbit hosting knowledge base is incomplete in English, and we are still expanding it. You can find it complete here (in Czech). Copying, publishing or distributing content is not permitted without the prior written consent of ONEsolution s.r.o.